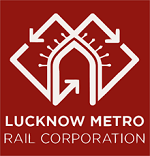 Lucknow Metro Rail Corporation (DMRC) Limited invites Application for the post of Station Controller/ Train Operator, Customer Relations Assistant, Junior Engineer, Office Assistant, Account Assistant, Maintainer & Asstt. Manager /Finance on direct recruitment basis. Apply Online before 01 February 2016.